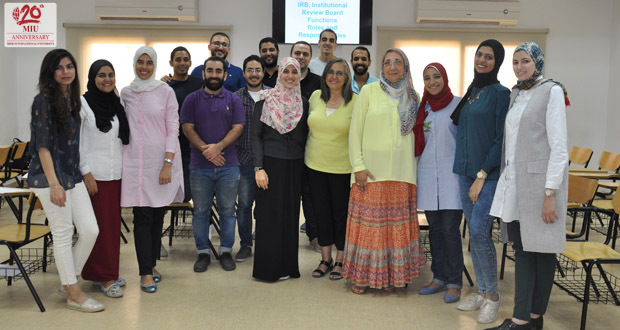 The IRB Committee at the Faculty of Oral and Dental Medicine organized a workshop for the faculty post-graduate students on how to write a research protocol according to the IRB guidelines. The workshop was conducted on 17th July, 2017 by Dr. Isabelle Nakhla – Senior Research Scientist at The U.S. Naval Medical Research Unit No. 3 (NAMRU-3) and consultant of the committee. 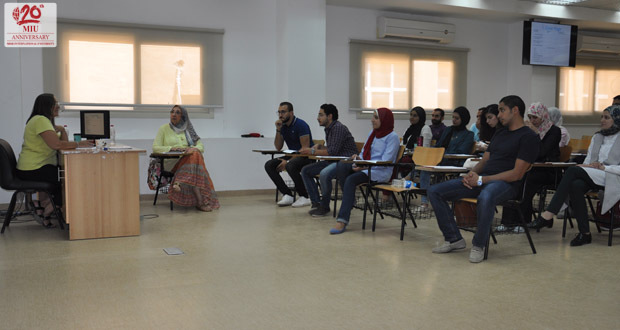 The purpose was to highlight the functions and responsibilities of IRB committee and to educate the students on how to write a well-designed research protocol in compliance with the IRB guidelines. All participants were satisfied with the workshop; 66.7% rated it as excellent and very good and 33.3% rated it as good. The participants’ recommended providing handouts and written protocols as reference.